May | 2009 | Ipoh Mali Talak Sombong! Lately, I have not been writing anything about Ipoh. Let’s us take a short break from Guangzhou today for something more local and nearer to home. I got meet up with J2Kfm aka Motormouth again few weeks ago in Ipoh for lunch. I’ve been wanting to have curry noodles, so I suggested Yee Fatt. 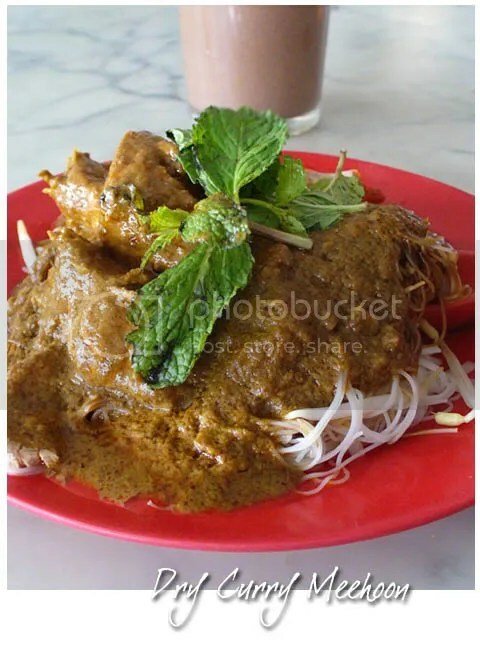 Popularly known to locals as the “MGS (Methodist Girls’ School) Curry Mee”, the place spans two shop lots and located opposite the school, nearby the Jalan Kampar’s (aka Jalan Permaisuri Bainun) roundabout. When I came here two years ago, there was a stall selling roast pork and char siew, but this time, the stall is no where to be found. Instead, more delicacies were available such as lor mai kai. The curry gravy was aromatic, thick and not too spicy, while the chicken came with the curry were tender and moist. Roast pork, char siew slices, beansprouts and mint leaves complete the ensemble. 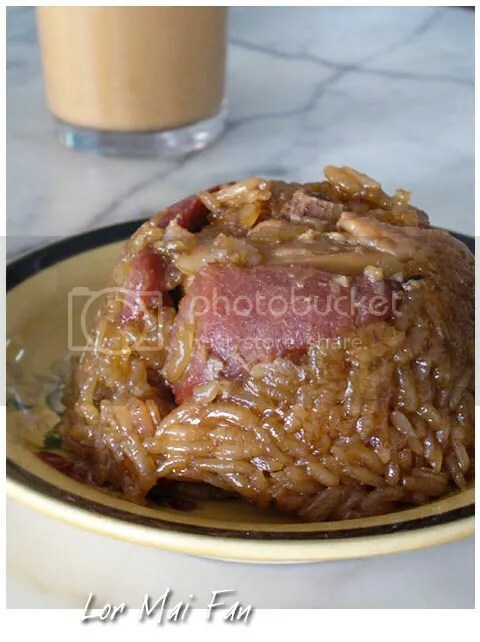 However, it is recommended to have it immediately when it reach your table as the noodles will soak up the gravy (especially when you order for rice vermicelli). Or else, just request for more gravy. Old-school, non-pretentious shop interior add a touch of vintage to your meal. 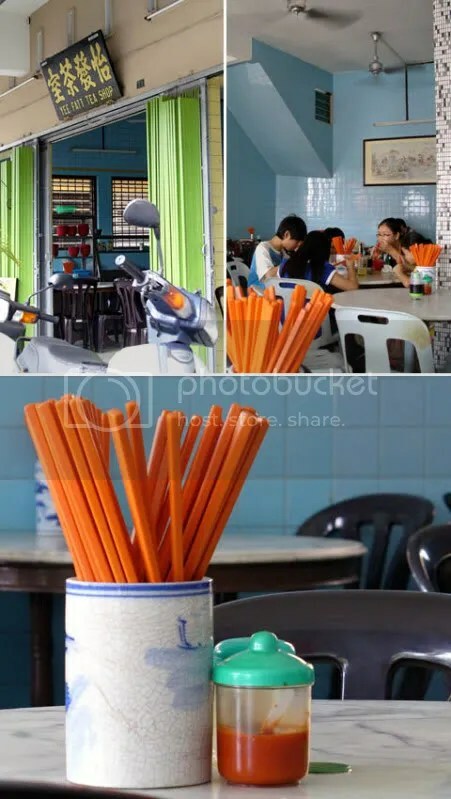 Don’t think we can buy those blue porcelain chopsticks holder anymore nowadays. After gobbled down half a dozen tarts at KFC, we were back on track. 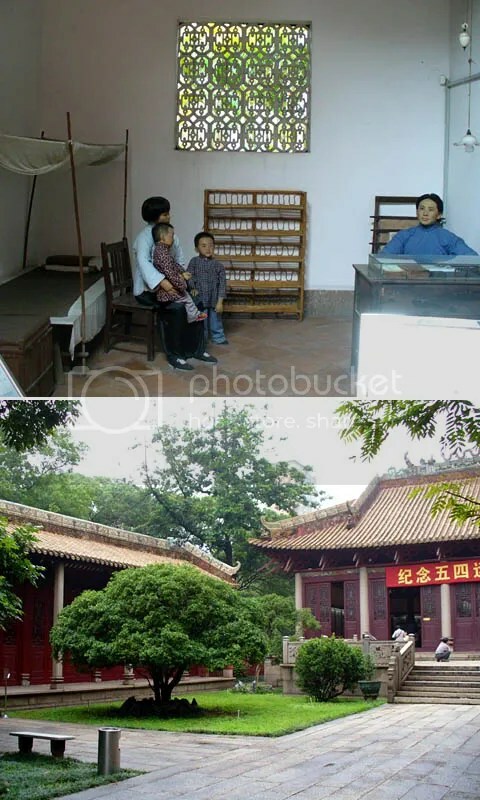 Initially we want to visit another historical site which looked like a small library but it was closed. 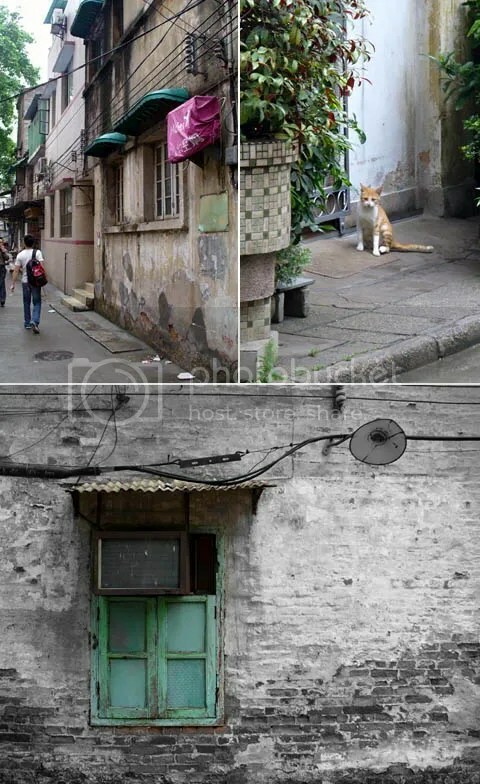 But that doesn’t really matter to me as I was busy snapping away with my camera, especially those old back lanes. We then decided to venture out of the city. We took Metro to Chigang Station and changed to public bus no 262 at Xingang Zhonglu. Their public transports are undeniably fast, efficient and punctual but the drivers’ behaviour (both on the road and towards the passengers) somehow… doesn’t up to expectation. 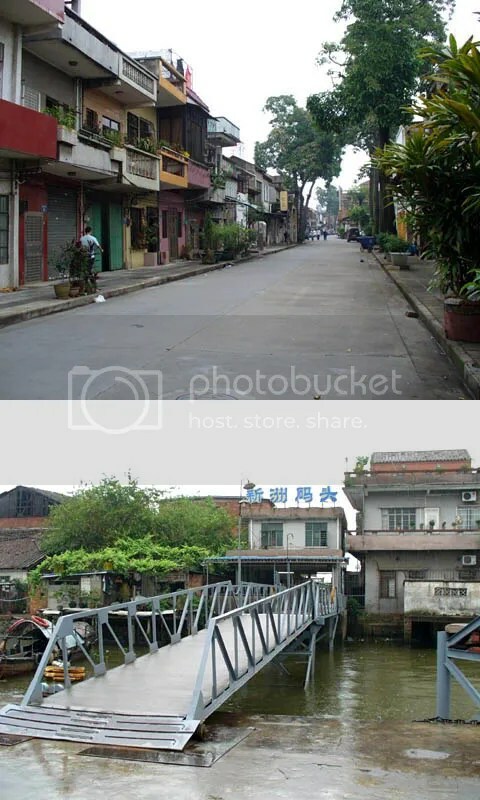 The journey took about 30 minutes and we finally reach the Xinzhou pier (Xinzhou Matou) in a small village, far away from the city centre. Our destination was Changzhou Island (not to be confused with Cheung Chau in HK or Changzhou city in Jiangsu although their pronounciation are similar in Cantonese), an island located at the mouth of Zhujiang River in East Guangzhou. From the pier, we can see that the village and its surrounding areas are some sort of a ship building or repairing docks, hence the water are quite dirty and polluted (you can see the oil floating on it). Unfortunately, it started to rain when we reached the island, so we seek shelter at the nearest building which turned out to be the Whampoa Military Academy. Officially opened on 16 June 1924 by Sun Yat-sen and funded by the Soviets, the academy produced many prestigious commanders who fought in many of China’s conflicts in the 20th century. Multiple chambers with drawings of those who persevered or perished in battlefields are on display, with some part of the study rooms, dining hall, dorm and office have been recreated for viewing purpose. We also stopped by the double storey bungalow, where Sun Yat-sen’s stays whenever he came to Changzhou. We decided to leave early as the weather doesn’t look promising. Back to hostel for good rest. When night descends, we went out to scout for something light to bite. We actually skipped dinner as we don’t feel like having heavy meal (sounds weird, I know). We decided to stop by this shop at Luju Road, Fangcun, which was not too far away from our hostel and try out the dessert. The crowd seems to be enjoying the food here. 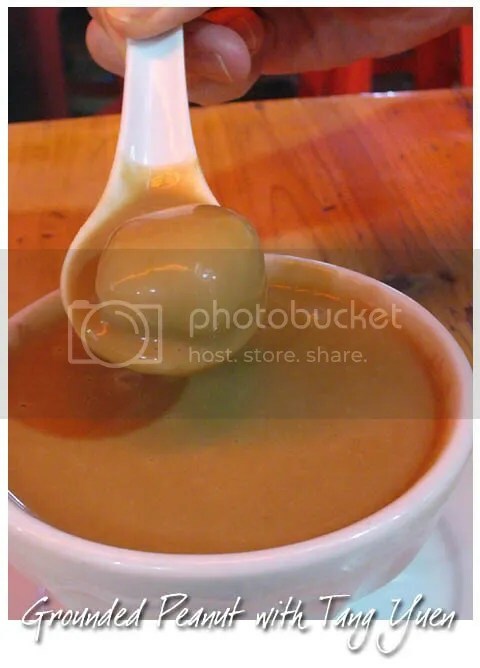 Calvin had the sweet peanut congee (fah sang wu) with glutinous rice balls (tang yuen). The peanut congee was smooth and brimming with peanut aroma, but the tang yuen doesn’t have any filling inside it. 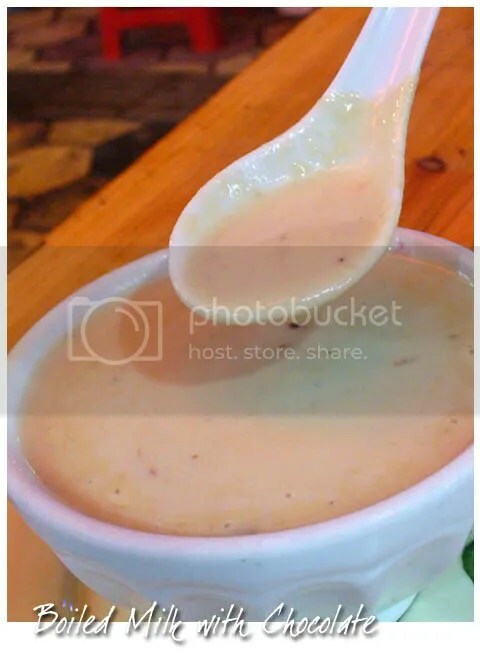 Similar like Hong Kong, most of the dessert menu in Guangzhou are dominated by milk-based beverages. I tried the “Fried” Milk with Chocolate (typo error in the picture) and although it was special, as we can’t find this back in Malaysia, it somehow gave me the feeling that I’m having baby’s milk cereal. Served hot, the milk was sweet, thick like porridge and coarse in texture. Chocolate bits were aplenty in the mixture. Not too bad I would say but still… baby’s milk cereal. Hahaha. 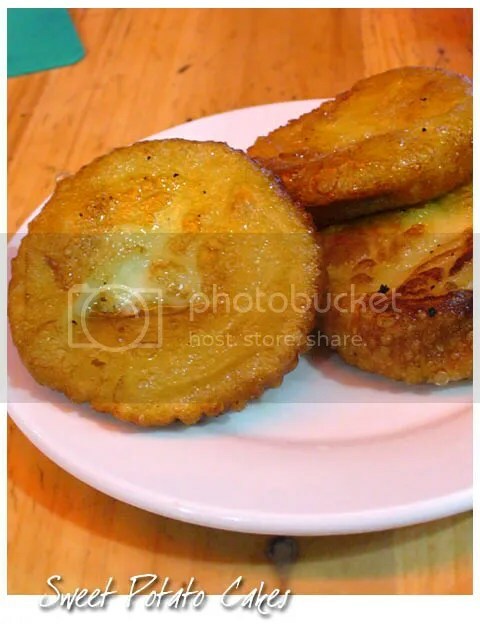 We also ordered some fried sweet potato cakes, which were a bit greasy and unfortunately, soggy as well. The weather was still gloomy the next morning. We left hostel quite late and headed to Fangcun Metro station before grab some breakfast. Our first destination for the day – Peasant Movement Institute, which is located at Zhongshan Road. All Metro stations in Guang Zhou are located underground and there are 4 lines. There are multiple entrances and exits for one particular station but fret not, as signboards and maps are everywhere inside the station to provide assistance. Their trains are super efficient; punctual and very fast. There was even an LED panel indicating which station you’re heading to above the doors. But taking trains in Guang Zhou can be a headache, as most passengers do not queue up, not even when purchasing ticket. The Peasant Movement Institute doesn’t look inviting from the outside. It was originally set up from a Confucian temple in the 14th century to train young idealists from all over China. 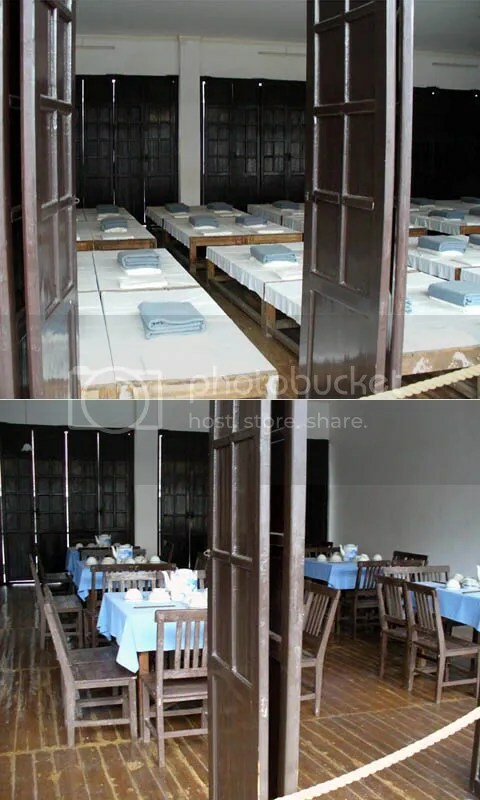 The government had recreate the lecture rooms and dormitories of the young revolutionaries for tourism purpose. Among the famous figures who lectured here was Mao Zedong (a mannequin resembling him was on display in his former office room). 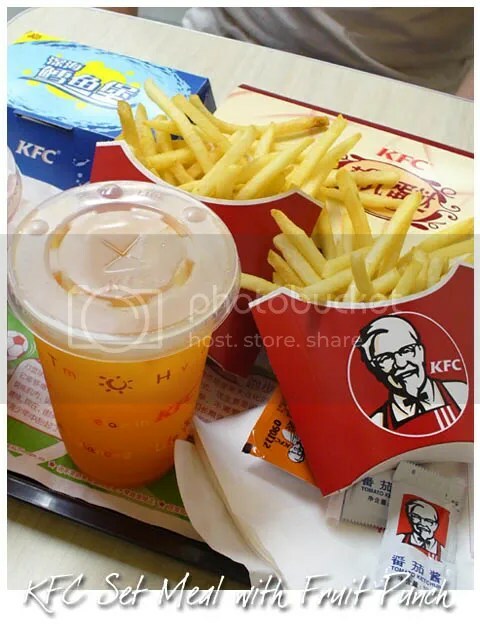 Since it was already near noon by the time we left the place (and the ads on KFC was constantly appearing on trains’ TV), we hoped over to the nearest KFC for lunch (KFC can be easily found here, but not McD). 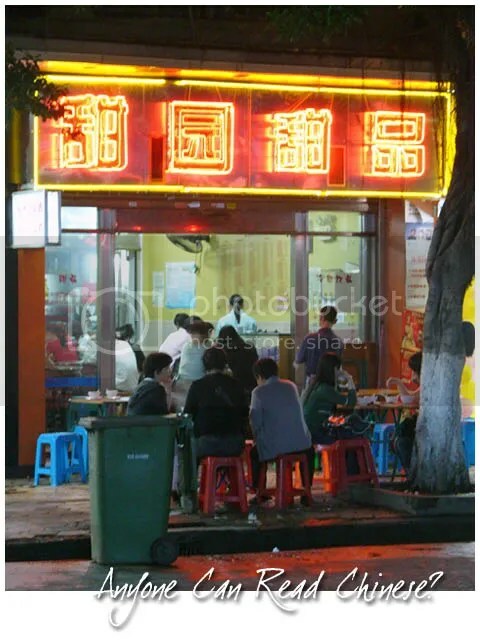 Fast food chains are more expensive in Guang Zhou; for example, a set meal costs around 22 Yuan (about RM 11). 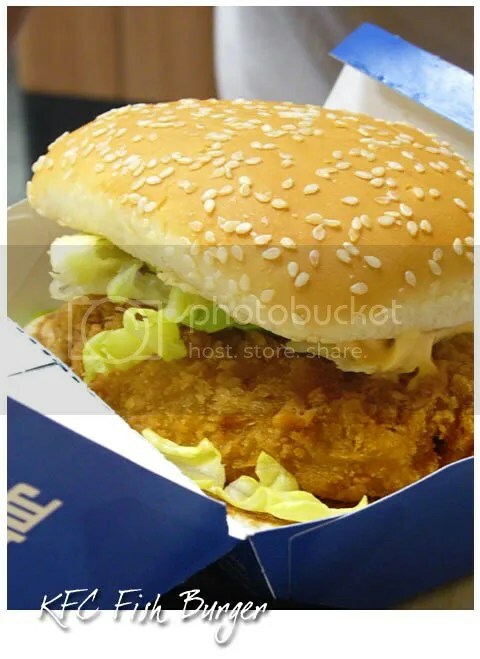 If you think the price is almost similar like ours here, think again as fried chicken are not available in set meals (so you can only have burger, a drink and coleslaw for set meals). Instead of normal soft drinks, they offered fruit punch for set meals. This fish burger was almost similar to our Alaskan Fish Burger. I didn’t bother to take photo of my chicken tortilla roll with Shanghai sauce by the way… there was nothing special about it. 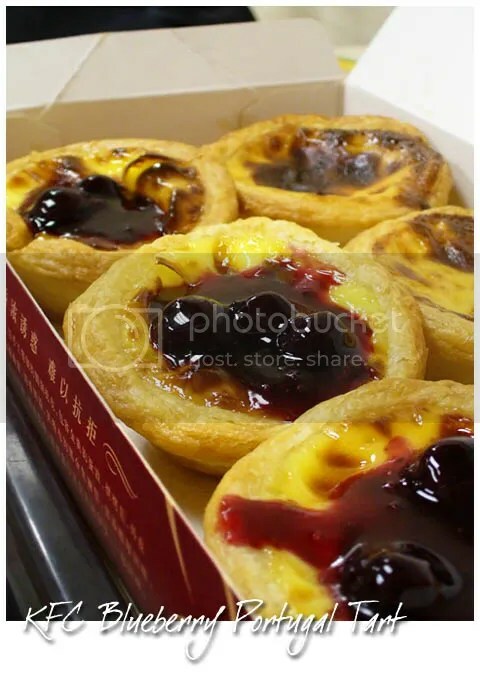 We were however, pleasantly surprised by their Portugal tart with blueberry compote. We were actually attracted to the tarts while watching the ads on train TV so we ordered this as dessert. The custard was eggy with buttery and flaky pastry crust. The blueberry compote compliment the tarts nicely.